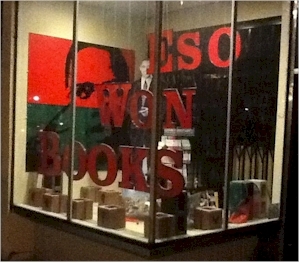 This is a follow up to an article, “Death of the Black Owned, Independent, Bookstore,” which was originally published here on March 25, 2012. The article highlighted the fact we’d lost 66% of our Black owned bookstores, in the United States, over the previous decade. That was and remains an astonishing statistic. Two years later almost half of the stores still open in 2012 have closed. You read that correctly, ALMOST HALF! At the end of this article, I’ve included a list of all the Black-owned stores that remain open. Here is a list of the stores that we have lost since 2002. Our bookstores have closed for every reason under the sun. Many were started by people with a passion for literature but weak business skills and other have fallen prey to escalating rents and a dismal economy. Perhaps a more pernicious reason, contributing to the closure of bookstores, is simply less demand for the product. There is mounting evidence that we, all Americans, are simply reading less. It is not just bookstores that are suffering. Web sites that focus on Black books are suffering. Attendance at book fairs, conferences and festivals are down as well. Some events have even been canceled due to low registration. Eso Won Books has been serving the Los Angeles community for almost 25 years. While literary reading is declining in America, our own platforms are doing very little to indicate that books or the stories and information they contain are worthy of attention, or are important. Coverage of Black books in magazines and newspaper—even those intended for Black readers is minuscule and critical book reviews are virtually nonexistent. Now books are clearly not the only way to relate stories or transfer information, but nothing available now, or on the horizon, appears capable of replacing what was lost. The following is a complete list of the remaining Black-owned independent bookstores in the United States. Please visit our book section for more information about these bookstores and many others that serve communities of color. If you believe in the importance of bookstores, which are dedicated to books by or about people of African descent, go out of your way to support one of the stores below. Do we want to see an America where the ONLY place Black books can be purchased is from Amazon? Do we really want Amazon to have that responsibility—all by themselves? The Last Black Owned Bookstores Open in the U.S. I have added or removed stores from this list since the article was originally published in April of 2014. Please reference our bookstore database for the most up to date information about each store. If you find any inaccurate or missing information here please email me troy@aalbc.com. Also, check out our new bookstore map introduced in August of 2014. Please keep in mind that maintaining this list is resource intensive and is done on a volunteer basis. ← Get On Up – A New James Brown Movie Coming!